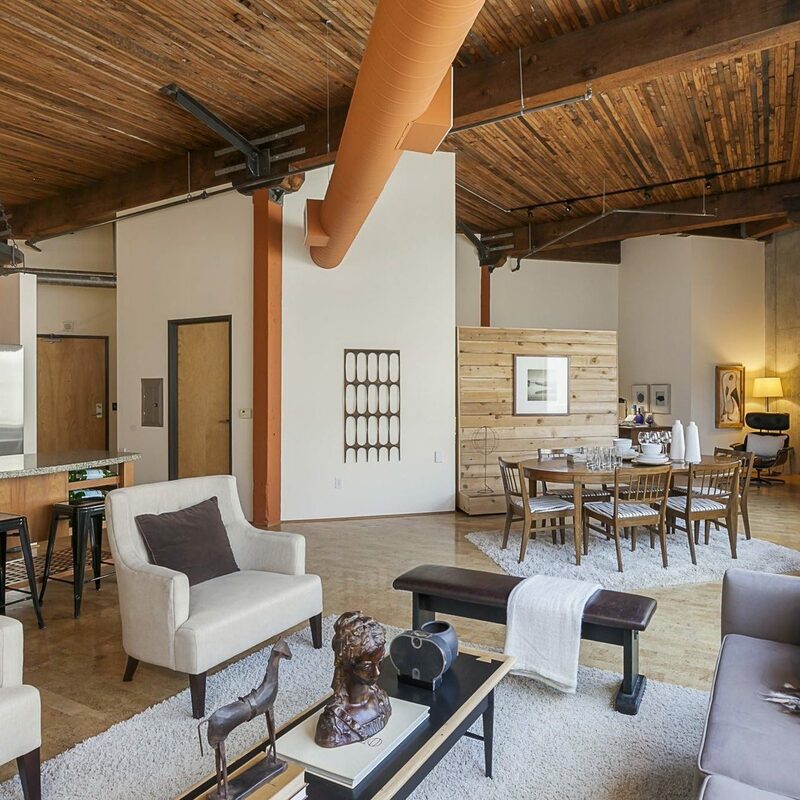 Gorgeous top floor condo in the historic Marshall Wells Lofts. Courtyard facing loft style home with 14’ ceilings, old growth timber beams & flexible open floor plan. Kitchen features a rolling island in the kitchen and SS appliances. Walk-in closet with extensive built-ins. Cork floors throughout, central vacuum, storage unit and parking space on the 2nd level of parking. For all photos & info, click here!